British mathematician and logician George Boole discovered Boolean logic. This logical theory acts as the basis of modern digital computer and other electronic devices. From this point of view, he is considered as one of the founders of computer science. Born as the son of a shoemaker, he did not receive much formal education yet he went on to become one of the greatest mathematicians and educators of the 19th century. Forced to become the primary breadwinner of his family at the age of 16, he embarked on a teaching career and before long successfully established his own school. A natural genius at mathematics, he was made the first professor of mathematics at Queen's College, Cork, even though he had no university degree. As a mathematician he published several noteworthy papers and treatises. He also introduced Invariant Theory, a new branch of mathematics and is known for his book ‘The Laws of Thought’. He made notable contributions to the fields of linear differential equations and suggested about the combined methods of algebra and calculus. His works influenced future generations of mathematicians like William Stanley Jevons and Augustus De Morgan who built upon and extended his works. Besides mathematics, he also left his mark as a philosopher. 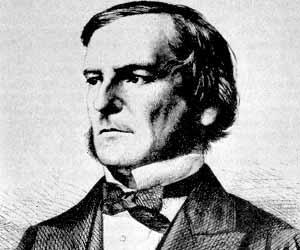 George Boole was born in Lincoln, Lincolnshire, England, on 2 November 1815. His parents were John Boole, a shoemaker, and Mary Ann Joyce. He had three younger siblings. He received his early education in a primary school and was also tutored in mathematics by his father. An intelligent boy, he did not get any higher education but was largely self-taught in mathematics and modern languages. Due to dire family circumstances he was forced to become the family’s breadwinner at the age of 16 and took up a junior teaching position in Doncasterat Heigham's School. He also taught at some other schools. 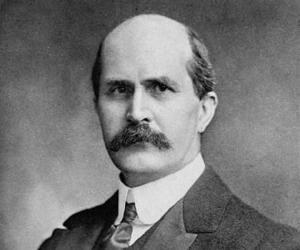 During this period he furthered his mathematical knowledge by participating in the local Mechanics Institute, the Lincoln Mechanics' Institution. There he was given the calculus text of Sylvestre François Lacroix by the Rev. George Stevens Dickson of St Swithin's, Lincoln. He studied calculus by himself for years and eventually mastered it. An extremely hard working young man, he established his own school in Lincoln when he was 19. Four years later, he took over Hall's Academy in Waddington, outside Lincoln. In 1839, he submitted several papers like 'Researches on the Theory of Analytical Transformations' to the 'Cambridge Mathematical Journal'. These papers discussed differential equations and algebraic problem of linear transformation by emphasizing the idea of invariance linear transformation by emphasizing the idea of invariance. In 1840, he returned to Lincoln to operate a boarding school. He discovered Invariant Theory, a new branch of mathematics the next year. This particular mathematical theory was a source of inspiration for Einstein. In 1844, he published an important paper in the ‘Philosophical Transactions of the Royal Society’ in which he discussed how methods of algebra and calculus might be combined. Even though he never received a formal training in mathematics, he developed new ideas on logical method and published a pamphlet, ‘Mathematical Analysis of Logic,’ in 1847 in which he argued that logic should be allied with mathematics, not philosophy. His publications were regarded very highly and earned him an appointment as professor of mathematics at Queen’s College, County Cork, in 1849 even though he had no university degree. In 1854, he worked on the algebra of logic which is better known as Boolean algebra. 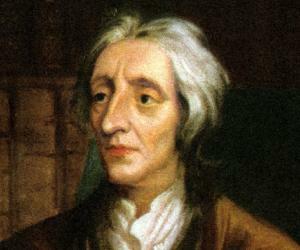 He introduced general symbolic method of logical inference through 'Laws of Thought', published in the same year. Boolean algebra acts as the basis of analyzing the validity of logical propositions as it captures the two-valued character of statements that may appear either true or false. This method of two-valued character and logical elements of Boolean logic is used in telephone switching and in electronic computers for their design and operation. 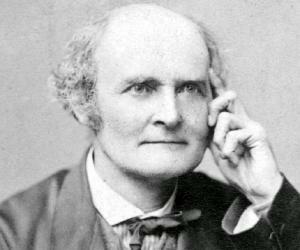 In 1857, he published 'On the Comparison of Transcendents , with Certain Applications to the Theory of Definite Integrals’. In it he discussed about the sum of residues of a rational function. As part of his discussion, he proved Boole’s identity. In 1859, he published ‘Treatise on Differential Equations’. Through this work he informed about the general symbolic method. In the next year he published its sequel ‘Treatise on the Calculus of Finite Differences’. George Boole was awarded the Keith Medal by the Royal Society of Edinburgh in 1855. In 1857, he was elected a Fellow of the Royal Society (FRS). He is also the recipient of honorary degrees of LL.D. from the University of Dublin and the University of Oxford. 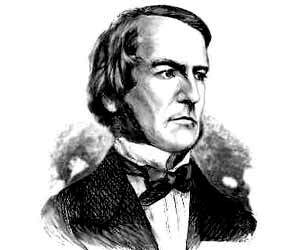 George Boole married Mary Everest in 1854. The couple had five daughters. Boole passed away December 8, 1864, due to pneumonia. Boolean algebra and the crater Boole on the Moon are named after George Boole. 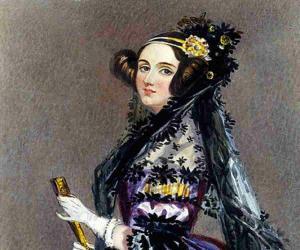 The keyword Boole signifies a Boolean data type in many programming languages. The library, underground lecture theatre complex and the Boole Centre for Research in Informatics at University College Cork are named after him.